"Our customers are using the web to research before buying, so how do we ensure it is our fantastic website that Google chooses to show our potential customers?" In Show 497 “Improve your SEO to Increase Google Ranking”, Anna Farmery, host of The Engaging Brand Podcast, and Kris Reid, CEO of Ardor SEO, talk about the important methods of SEO and how they can be used to get yourself on the first page of Google. · What is a backlink and why backlinks are important to increase Google ranking. · How Google ranks websites for search results. 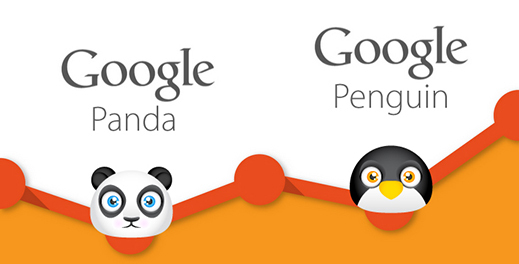 · The importance of Panda and Penguin updates to the Google search results. · What is an unnatural backlink and how it affects your Google ranking. · The value of guest posting for SEO to increase Google ranking. · How to reach out to other sites to gain valuable backlinks. · How to use testimonials to increase Google ranking. · The relationship between traditional media sites and social media for SEO. 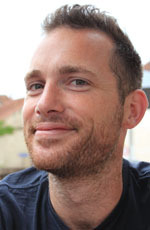 · How to use university resources to create strong backlinks. 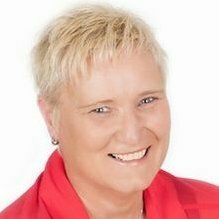 Anna Farmery is a renowned speaker and online coach for entrepreneurs. 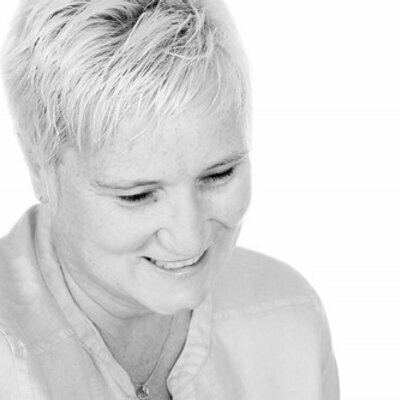 She started out as a Chartered Accountant at KPMG before entering the printing industry as a Financial Controller. She was promoted to Managing Director at age 25, having worked for a "truly inspirational leader". By then, she realized that she also loved inspiring people to be the best they can be with their talents - which she believes are present in all of us. She continued working at FMCG as a Group HR/Finance Director for 20 years when she decided to establish her own company, The Engaging Brand. 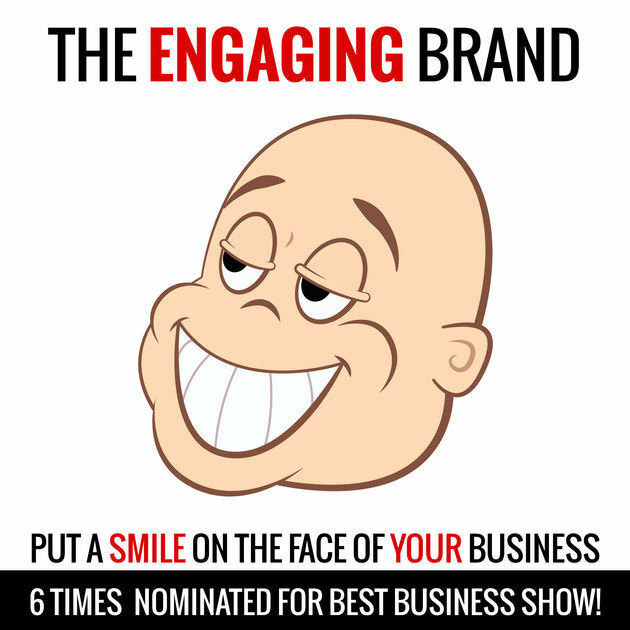 With numerous awards and nominations for Best Business Podcast in six consecutive years, The Engaging Brand continues to be an enigma when it comes to branding, leadership, and social media. Listen to the podcast on iTunes or on PlayerFM. AF: How do you get Google to love your content? That’s the question I’ll be asking today on The Engaging Brand podcast. And it’s a warm welcome. And yes, today we’re talking about Google. I wanted to do a show that was looking at how to get people to link to your content because, for readers of the web out there, there’s been a lot about Panda, a lot about Penguin and how you can easily be punished by Google. So I wanted to do a show to see how to create links to your website that are genuine and authentic, and Google will love them. So I invited Kris Reid on to the show. 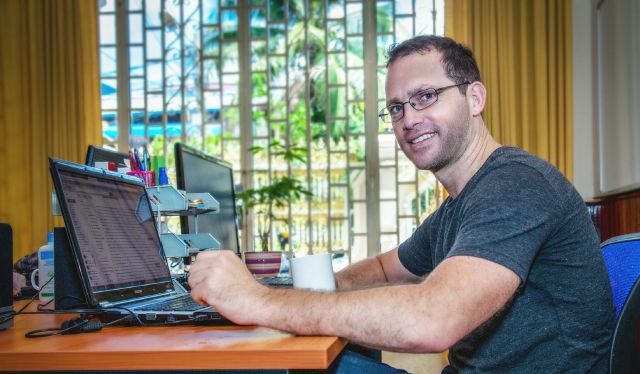 Now, Kris is a software engineer who was originally from Brisbane and he started Ardor Media Factory. Now, what the company does is help businesses who maybe don’t have the time to create content or to create these links to other sites, and he has a team of writers and editors and marketers to help companies, help brands get links out there to authoritative sites, industry sites – and links that Google will love. So I wanted to invite Kris on to the show because I wanted to explore this area ‘cause it’s an area that I have never covered on the show before. I’ll put links over to Ardor Media Factory on my site, which is www.TheEngagingBrand.com and more of that coming up. AF: With no further ado, let’s get into today’s show with the wonderful Kris Reid. Kris, welcome to The Engaging Brand. KR: Hi, Anna. Thanks for having me. AF: I’m hoping that you’re not too geeky, Kris, cause I need to understand a little bit more about websites. KR: Well, I’ll try. I mean I’m a software engineer by trade but I can try and speak in layman’s terms. AF: *laughs* Can we just start off with, because obviously content is incredibly important when it comes to the web, and content marketing is one of those phrases that gets batted about. Often people have this emphasis on content because of Google and because of creating backlinks. Can you just describe to me what a backlink is? KR: Well, a backlink essentially is just a link from one website to another. They’re the html links that you click on to go from one website to another. AF: So, why are they important? KR: Well, backlinks, they’re obviously important because they drive traffic to your website. So you know if you have a post on a high traffic website that people read then it’ll send traffic directly to your website, so that’s great. But backlinks are also the cornerstone of Google search engine. You know, Larry Page who is also the co-founder of Google, he invented was is called the page rank algorithm – which is what actually set Google apart from Excite and Yahoo back in the 90s. AF: Is it, interestingly enough on this page rank, so it, I suppose I’m getting a little bit into Panda and Penguin in a sense, which we’ll come to, but when we talk about backlinks, I’m assuming that it makes a difference to where you come on that Google list, but if I have a thousand backlinks to a ropey site or three backlinks to, I don’t know, let’s say Oxford university. I’m assuming the three backlinks would rank higher than the thousand lousy links. KR: Yeah, certainly. I mean it’s quite a complex algorithm as you can imagine. Essentially, all things being equal – if you’ve got two websites that sell the same product in the same town and they look pretty much the same, the website with the most backlinks will win. But you know each backlink is not equal – the page rank algorithm it bases, it basically ranks every website. A new website is a page rank 0 and the biggest websites on the internet, like Facebook, Google, YouTube, they’re a 10. Like even a very authority site like the BBC is an 8, so you can understand how hard it is to become that sort of an authority. AF: Yeah, when you watch the web now, people are putting loads and loads of warning signs up about backlinks because of Panda and Penguin. Now these aren’t animals, for anybody who thinks that they might be animals. Can you just describe Panda and Penguin and why there has been such a furor about backlinks. KR: Yeah, well, you know, Google’s obviously – they provide search results and they have to keep trying to provide the very best search results they can so that you find what you’re looking for, otherwise you’ll go to a different search engine. The first thing they did was Panda, which rolled out originally in February 2011, and this was a really big deal. It targeted low quality sites to really get them out of the search results. And when I say low quality sites, that’s like really thin content, not authority, duplicate content sites. There were lots of site that would aggregate content from other sites, so it’s not really providing any value so Panda was designed to kind of get rid of that, get rid of the junk and show the original content. AF: Because at the end of the day I suppose Google lives and dies by the quality of the links they provide so panda from that point of view made sense and if you were a reputable business, or reputable marketer, should I say, then you wouldn’t have just gone to get those low quality sites so from that point of view, was there anything that a good company doing good practice should’ve been worried about? KR: With Panda, not so. If you write your own content, you’ve got a nice website that describes your services, you’re fine. It was really about sites that you know can be written by computers that aggregate content from other websites and are just really spammy rubbish just to gain the search engine. KR: Yeah, Penguin is a completely different ball game. This was designed at backlinks. So people that have built backlinks to gain the system again, to rank higher in Google. It first came out in 2012. They’ve put out five editions now and it’s really to reduce the trust that Google has in sites that have unnatural backlinks. AF: What’s an unnatural backlink? KR: See this, this is very arbitrary and hard to decipher what Google even means by that. One thing that I try and tell people is to like look at your anchor texts. Anchor text is when the link is pointing to a website, the keyword that it says in there, like whether it says ‘click here’ or ‘buy coffee cups’ or whatever it says; it should appear natural. You can check out your anchor texts. There’s two very good tools. One called ahrefs.com and the other which is majesticseo.com – So if you go there you can type in your URL and it will show you a list of all of the sites that are linking to your website, and it’ll show you how many different domains there are, how many different pages there are, and the anchor text profile. And so you can imagine if you have 100 backlinks pointing to your site. If 10% of them say one thing, one search phrase like ‘coffee cups’ then that’s quite natural – it’s only 10 variations. But if you have 1000 different backlinks pointing at your website and 10% of them say ‘coffee cups’, the exact match, then that’s 100 different websites or 100 different people that just happen to write the exact same phrase, which does seem a little bit unnatural. KR: So, you really have to worry about repetitive links. AF: And if other people are linking to my content, and doing almost as link-bait to try and get me over there. Say I’ve got a Google Alert out for The Engaging Brand and so I’m wanting to go over there, or indeed doing a backlink from my site – Does that punish me as a good business owner? KR: See there’s two different types of links. The most common type of link is you know, a website URL – TheEngagingBrand, or you’re actually, what’s called a branded link, which is your company name, The Engaging Brand. Having those sorts of links is generally fine so that should be the majority of your anchor texts- should be your business name. That’s very normal. But there is also a thing out there called negative SEO. And so when Google brought out Penguin, I don’t think that they really put this into consideration, that people could build backlinks – bad, spammy looking backlinks to websites, and have them penalized. For an example, I have a customer of ours who’d been working for us with some time and they’d got really good results and then their results just disappeared. I, straight away, thought it was something that we did and I was terrified. And through further analysis, it turned out (they’re in Perth Australia) one evil person had targeted everyone in that industry and built terrible backlinks to their websites to get them penalized. And this is a big company and they got de-indexed. They got really heavily penalized by Google and it has taken them months to recover. AF: How is the best way then as a business owner or somebody that wants to generate authority through their content? How do you build backlinks naturally? KR: Well you build backlinks naturally by providing good quality content that people want to link to. If you write nice articles about your industry, you know, and get it out there through social media and people, other bloggers will pick it up and quote you and start linking to it. Until you do have a following, you know it is easier to say once you’ve got a thousand people that follow your blog every week, but when you’re starting out, you don’t have that. It is very hard to get started. So one thing you can do is called guest posting. You’ll find, you know, look in your niche, find similar blogs with similar topics and you can offer them some free content. You’ll talk to the website owner and go ‘I’ve got an article about this that will help your business and blah blah blah’. And so then they’ll credit you with the post and put a link back to your website, so it slowly builds up your authority. AF: I think a lot of people put out there that you need to just get people linking to your content, as though you can just click your finger and you know, let’s say you do have great content, let’s say it is excellent, but if you don’t have a following or people aren’t following or don’t know that you’re there then nobody is necessary going to see it. So, is there a method of actually finding the right site that will actually give you the right volume of people and the right niche of people to give you a backlink from, that you approach with guest posting? KR: Well, generally, I mean say you sold coffee cups. Your business is making boutique coffee cups and selling those. So one thing you can search for is coffee cups or coffee manufacturers. People that are in line with your business. You know another coffee cup provider might not want to post about you because well you’re there competition but someone that makes coffee, or makes tea cups, someone that’s in line with you very much might. So there’s a number of ways that you can do it through Google, you can type in ‘teacups’ and ‘teapots’ and go through the results. Or even to speed this up you can go through Twitter and quite often people are looking for guest posts. So you can actually type in your niche name + guest post and go through the tweets and look who’s looking for content - cause every website needs new content and it is time consuming. If they can get free content from you, it’s good for them. Win win. AF: I suppose from a blogging point of view, I mean I know as someone who blogs everyday, that coming up with new content, coming up with new ideas is not the easiest thing in the world. And so, from a blogger’s point of view, especially if you have a product, either a competition or free stuff to offer them to promote on their site can work really well as well. KR: Oh certainly, Anna. Adding content to your blog all the time, you know, is time consuming and very difficult. So if you can get free content from someone else that’s providing quality information that your readers want to know about then yeah, all for it. AF: What about, you know, in reviews or comments or testimonials or reviews on Amazon, or things like that, do they work as backlinks? KR: Funnily enough I was just looking at a microphone the other day and I was reading the reviews, I don’t know much about microphones to be honest, so I was reading the reviews, and I noticed there was this one woman who actually sung a review. She was using the microphone and recorded a song there and had a link to her website. You know it was fantastic, I went and checked it out. So yeah, testimonials are a great way to get traffic and a link to your site. AF: As business owners, do we sometimes get really hung up with social media and forget traditional media. Because traditional media has traffic, and are often looking for content from you. So I was thinking, of, yes the magazine sites, yes the traditional journalist sites but also from a reporting point of view they’re often looking for stories, aren’t’ they? KR: Oh certainly. I mean social media is the buzz and it’s great, but you know just a regular person’s Facebook page or a Twitter account does not carry the same authority as BBC news or some media outlet. There’s a really great service called HARO, which stands for help a reporter out. It’s a free service that you can register for, and you’ll get three emails every day about a niche – so you have to specify what sort of industry that you’re in and you’ll get reporters that are looking for information around a certain industry. So any of them that you’re able to help out you just send in your credentials and the information hat they’re looking for and you can get a great backlink. In fact, I know a guy that got a link from Inc.com which is a massive small business website – a fantastic reference that didn’t cost him a dime. AF: They’re things we like on The Engaging Brand - the don’t cost a dime bit. AF: I know that people often say that universities are great links. Why are universities good links and how on earth to get a university to link to your site? KR: Well I mean as you can imagine, Harvard University or Oxford University or whatever, they have huge weight – they’re really authorities. But you’ll notice that near every university has a resource page. So if you, whether you’re studying software engineering or whatever, it can show you, you can go through these sites and they’ll have all resources about, you know, for students to help them study whatever faculty they’re in. But a lot of these pages are old and have not been updated for a very long time. So one thing you can do is look for dead links. So if you go into Google and type site:edu that’ll bring up just .edu websites. If you through in there as well, your keyword, your industry, plus resources or student resources, something like that. You’ll start getting lists of all the university pages and it’ll show links to external websites with resources. And if you start looking at the older ones, you can quite often find some dead links. 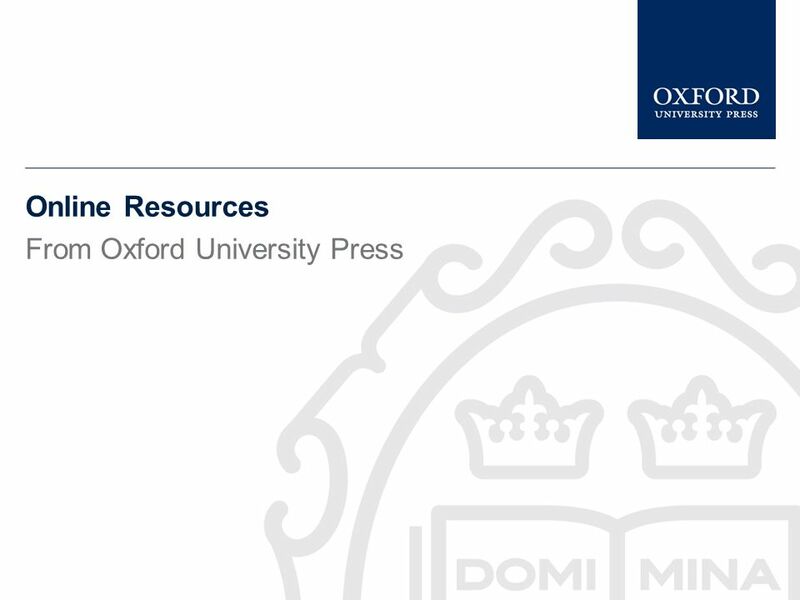 And if you find one that’s a dead link that matches what you offer, you can simply email the university and say I found this dead link, here’s another example of similar content that you might like to change it to, and then straight away you’ve got a quality link from Oxford. AF: What I like about that kind of approach, in fact all the approaches that we’ve talked about…it can feel wrong. Trying to get links. Whereas, if you’re doing it right, you’re not trying to get links, you’re trying to provide helpful content to somebody else which ensues into a link. And I think, almost, Google doesn’t mind if you’re trying to provide help to somebody else, as a number one aim and therefore getting a backlink, they mind it when your number aim is a backlink and the content is of secondary importance. KR: That’s very correct, Anna. That’s essentially what penguin and panda were about. Panda to flush out all the rubbish content that is not adding value to the internet, and penguin to punish all the terrible backlinks that don’t add any value to the internet. AF: Well, Kris, I really want to thank you for coming on today, for sharing that. Getting us thinking about how we can build authority for our website. Now I know that you in your day job do this. Can you just tell people something about you, about the company and where they can find out more. KR: Yeah, sure. We’re called Ardor Media Factory and what we do is, essentially, provide quality content to add value to the internet. So you know we manage hundreds and hundreds of websites in, name an industry and we’ve got them, and so what we do is we research customer’s businesses, their products and services, and then we’ll have our writing team that goes out and writes articles and blogs and pdfs and social media, and even make videos. We have an editorial team that review it to check that it’s of high quality, and then we have a content marketing team that go and post it on powerful, industry-specific sites. So you’re getting, you know, high quality, powerful backlinks that are really relevant. The most important thing is that they’re adding value to the internet and they’re adding value to your brand. So, they’re the kind of links that Google are after. AF: And how do we find your site? AF: Excellent. And so there’s no real excuse for people not to be providing us content. If there’s entrepreneurs out there saying I don’t have time to do this, I’m too busy working on my business. Then there are people like yourselves and like other people - how would people know whether you were reputable or not? KR: Well you can look at our reputation. Reputation is every thing. We guard it very highly. You know we’ve got a YouTube account. It’s got a sward of videos from customers that have got great results and we’d be happy to add to that at any time. AF: Yeah, excellent. Right, okay. Kris. Thank you very much for coming on The Engaging Brand today. KR: Thank you very much, Anna. I hope that I added some value to your listeners. AF: I really enjoyed that conversation because there’s so much out there that says ‘don’t do this, don’t do that. Google’s going to punish you.’ And just talking it through with somebody like Kris, it illustrates to me that if you, as a good business entrepreneur, are doing the right things and doing it for the right reasons and that creates a backlink for you, then Google is not going to punish you for that, Google’s going to love that. So when you approach universities or industry sites that you know your consumers are reading and you know your consumers are watching, and you provide valuable content for that site and their readers – then that’s not bad link building, that’s actually creating content that’s valuable and will be consumed with a happy heart, if you like, by their consumers. So I really enjoyed that.